Kevin Love had a quiet NBA Finals, but he came up big when the Cleveland Cavaliers needed him most. 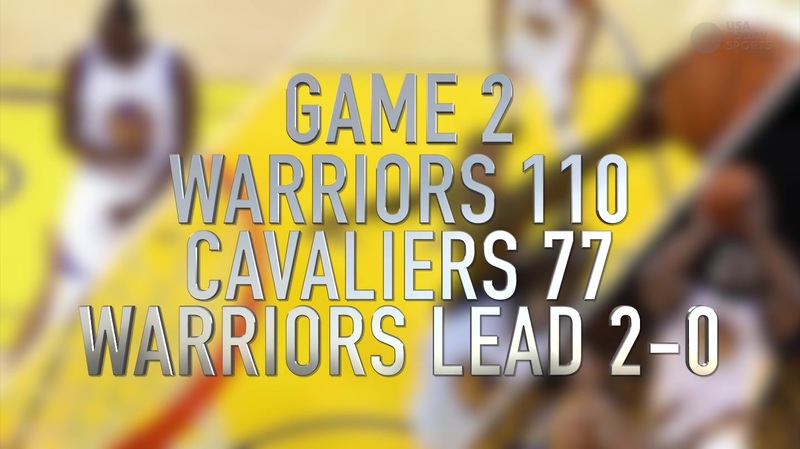 In the final minute of the decisive Game 7, with the Cavaliers leading by three, Love got switched onto Stephen Curry at the top of the key. That's when Curry began hunting for the game-tying three-pointer, throwing an array of moves at Love. Amazingly, Love, who isn't known as a great defender, stuck with Curry for those crucial ten seconds and forced Curry into a tough shot, which he missed. It ended up being a championship-winning stop by Love. The Cavs got the rebound, LeBron James was fouled, and hit a free throw to put the Cavs up four. Game over. On Monday, Love was a guest on "The Late Show with Stephen Colbert," and was asked to break down the stop. Love said he knew he "had to put on his dancing shoes" to stay with Curry, but he also shared a funny anecdote about realizing he got the stop. Colbert noted that Love was all over Curry "like a spider monkey," but that Curry still managed to get the shot off. Love responded, "He was three steps behind the three-point line, I knew I had to guard him there. But he's a guy that has so much confidence with the ball ... When he threw it up, he usually shoots it and looks at you. So I kinda had to look back and think, 'Okay, he's not looking at me, I contested the shot, I think I'm okay.' And he missed it short, we got the rebound and eventually got to the free throw line, 'Bron hit the second [free throw], and that was it." There is evidence of the exact type of play that Love is referring to. In Game 2 of the Western Conference Finals, Curry hit a three-pointer then stared down former Thunder big man Serge Ibaka while the ball was in the air. When Love saw Curry wasn't staring him down, he had confidence that the shot wasn't going in.